Use the best softeware to record your instant message. Google Hangout is a popular communication method for instant messaging as well as video chat, and it’s definitely rather convenient. Now, it’s important to understand that you can record the meetings that you are having on Google Hangout for further review later on. In order to do so, you will have to get a few things done. There is nothing overly hard, and everything could be handled without any specific computer knowledge. You need to turn off all of your unneeded. This is going to enhance the overall performance of your machine and promote better quality. Also, make sure that your notifications are turned off because they might ruin the video. You should also set the webcam as well as the overall lighting at the room in order to ready the environment for the recording. Take the noise into proper consideration. In order to minimize it, shut the doors and close the windows – this is vital. You should also ready your microphone. You need to determine whether you are using the inbuilt microphone or a third-party device – in any case, make sure they are ready. You should also decide the same thing for your camera and ask for permissions when they are needed before you start recording. This is important to avoid any further lawful complications. You can use the YouTube Live feature to create a particularly quick event with the Hangouts on Air. You can also create a custom event with the encoder. In order to set up the Hangouts on Air with the YouTube Live, you need to make sure that you follow a few steps. They are outlined below. Right afterwards, you need to create a brand new event. You will find a button which says new live event – that’s what you are looking for. When you are through with these, you should make sure that you have provided your stream with a convenient title. After that, you might want to start the whole recording through the button called “Go live now” or enter particular details in order to schedule the same event or another one for later on. Use Hangouts in order to broadcast it live and make sure that everything is handled perfectly. 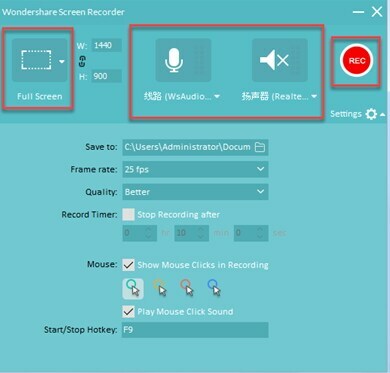 Another way to record your meeting is through the regular screen recorder feature. There’s nothing too complicated about it. As a matter of fact, this is without a doubt one of the best things to consider. There are quite a few different software pieces that you can take advantage of, but the one that’s highly recommended is Filmora. Step 1. The first thing that you would have to consider doing is to download Filmora and install it accordingly. This shouldn’t take you more than a few minutes. Step 2. You should open the application and go for the full feature mode. Step 3. You should click on the file; record the media and the screen accordingly. 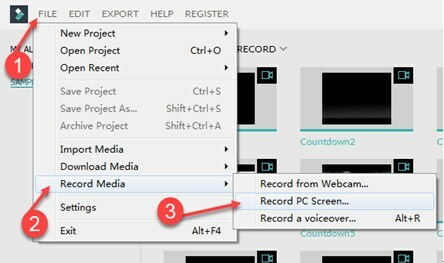 Step 4. you should select that you want to record Google Hangout, set your audio and click on the record button. Step 5. make sure to save the recorded file. The main difference between those two is that Hangout on Air is being broadcast publically through the YouTube channel that you have. At the same time, Hangout is more or less a private API that’s going to enable you to use it for smaller groups. There is also has chat, document sharing and video conferencing features. In any case, there are significant differences between both of those, and if you want to ensure that everything is handled privately and in-house, you should opt for Google Hangouts and use a screen record if you want to archive the meeting or the interview, for instance.